TWO illegal Venezuelan immigrants have been sentenced to three years in jail after they pleaded guilty yesterday of robbing a pharmacy and convenience store at Cedar Hill Road in Claxton Bay two weeks ago. 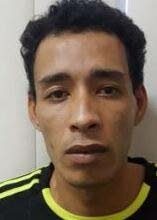 Jose Gregorio Jist Diaz, 29, and Alexander Jose Toledo Quijada, 34, appeared before Michelle Maharajh-Brown in the Couva Magistrates’ Court jointly charged with robbery with aggravation. A third man, Shorn Blanco, 43, was also jointly charged but the magistrate entered a not-guilty plea on his behalf, as he disputed the prosecution’s case. 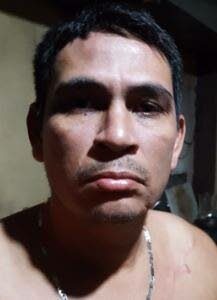 Blanco lives at Lady Hailes Avenue in San Fernando and has dual citizenship of Venezuela and TT. PC Ramoutar of the Couva CID laid the charge. With the assistance of translator Rachel Gosine, Diaz and Quijada told the magistrate they came to TT hoping for better lives for themselves and their families. On December 17, about 2 pm, three gunmen entered Basics & Beyond Pharmacy and Convenience Store and held up the owner. There were no customers in the store at the time. The gunmen stole cash and food and left. The owner called Couva CID and Sgt Ramdial and PC Ramoutar visited the store. Last week Thursday, police led by Sgt Ramdial with the assistance of PCs Samaroo and Ramoutar and the Central Division Task Force arrested Diaz, Quijada and Blanco. 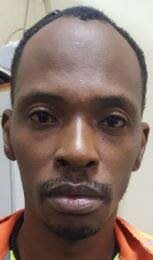 Maharajh-Brown denied bail to Blanco and remanded him into police custody to reappear on January 25. Police said he has two convictions, one for assault and the other for malicious wounding. The magistrate sentenced Diaz and Quijada each to three years’ hard labour in jail. The Immigration Department also charged them with entering the country illegally. The two pleaded guilty and Maharajh-Brown who sentenced them to nine months’ hard labour each on that count. Reply to "Two Venezuelans jailed for robbery"